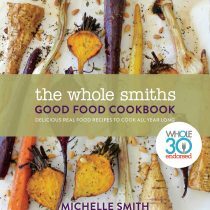 Just in time for your September Whole30s, it’s giveaway time over here at The Whole Smiths. AND as an added bonus, I have a brand new recipe surprise recipe for you. 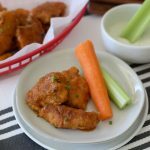 Whole30 Grain-Free Boneless Buffalo Chicken Bites, anyone? 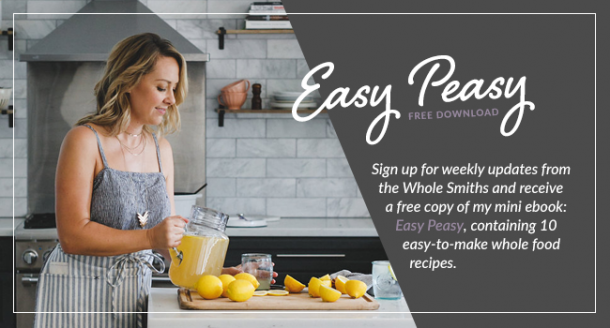 Enter above to win $875 in prizes from The New Primal, Sarah Rentfro (@thepursewhisperer) and me. 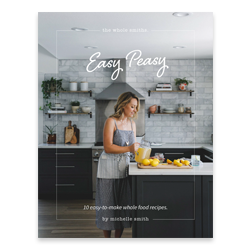 Prizes include a signed copy of my book, The Whole Smiths Good Food Cookbook, a 6-month supply of Whole30 compliant products from The New Primal and a January Whole30 Coaching opportunity (in an online group) with 2018 Whole30 Certified Coach of the Year, Sarah Rentfro. Can you believe it? I am SO excited for this giveaway, can you tell? 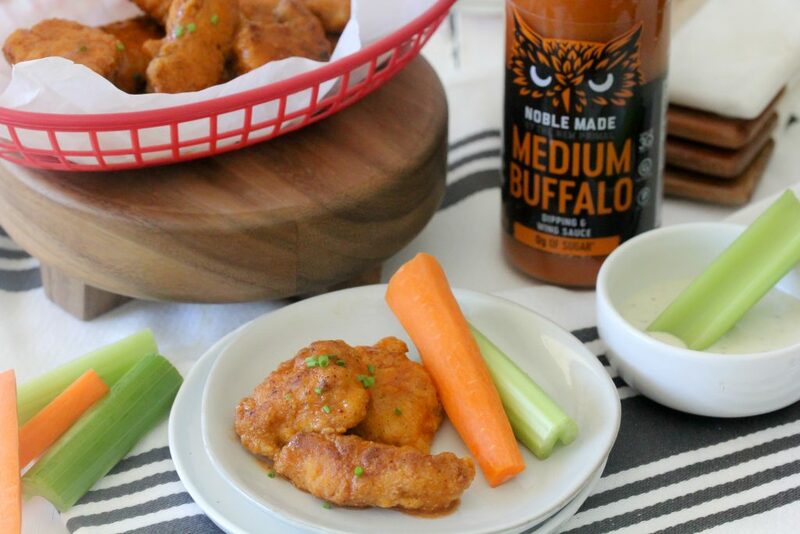 Enter above and scroll down for your new favorite recipe, Grain-Free Boneless Buffalo Chicken Bites. *Click here for official rules and restrictions. 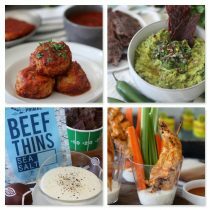 You all know I love The New Primal Whole30 compliant sauces, which is why I am partnering with them on this awesome giveaway! Not only are they incredibly delicious but the are SO easy to use! Many of you are doing a Whole30 right now or are starting a reset. 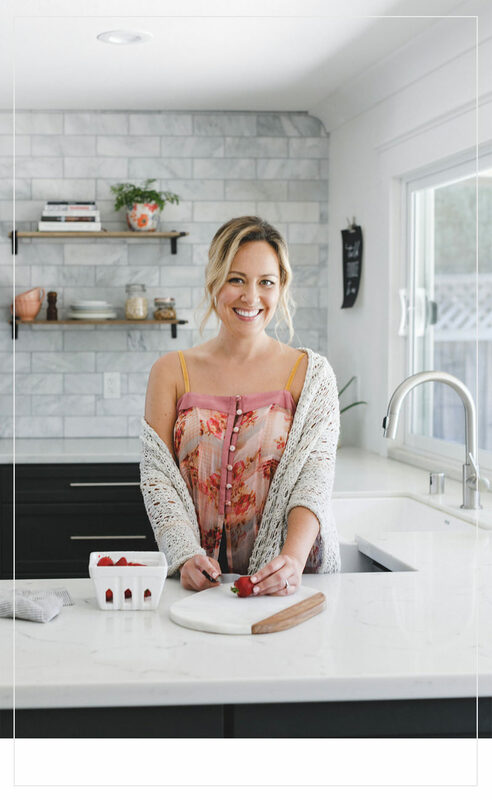 My goal is to help you clean up your diet without losing any of your favorite fun foods. When I first decided to clean up my diet, I really thought that meant no more fun. I attached fun to food and drinking. And if I’m getting specific, junky food and junky drinking. The truth of that matter is I still attach fun to both but know how to do it in a way that’s still healthy and sustainable for me. 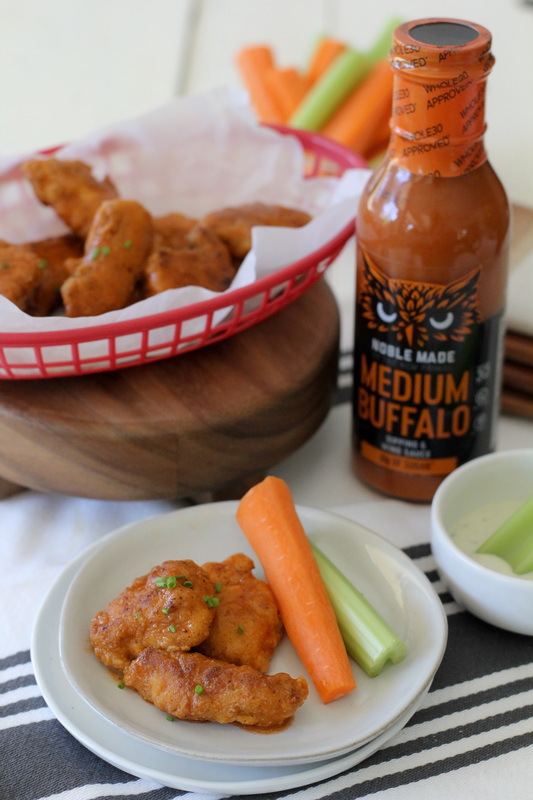 With The New Primal Buffalo Sauce, you have a choice of Mild, Medium or Hot. Personally I like spice, but my kids don’t share that preference. I’m far too lazy to make separate batches so I often keep things on the mild side. But that doesn’t mean you have to. 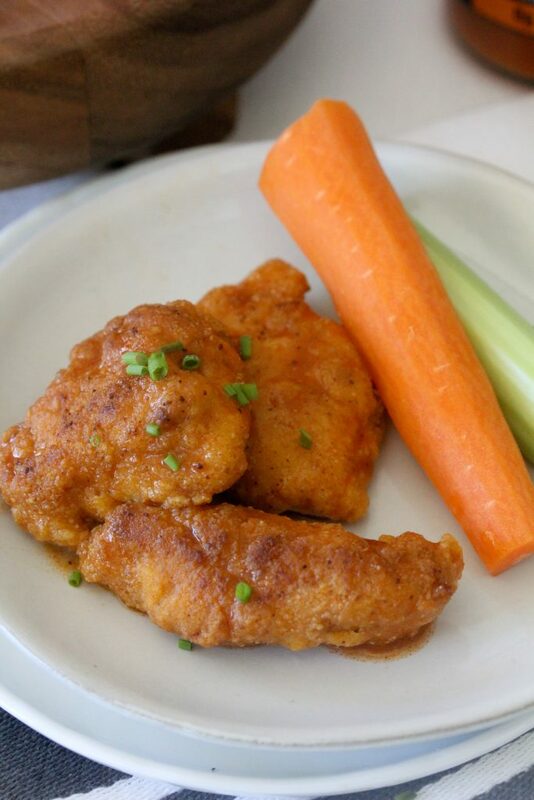 These Whole30 compliant Grain-Free Boneless Buffalo Wings from the Whole Smiths are the perfect appetizer for any gathering. Particularly during football season! 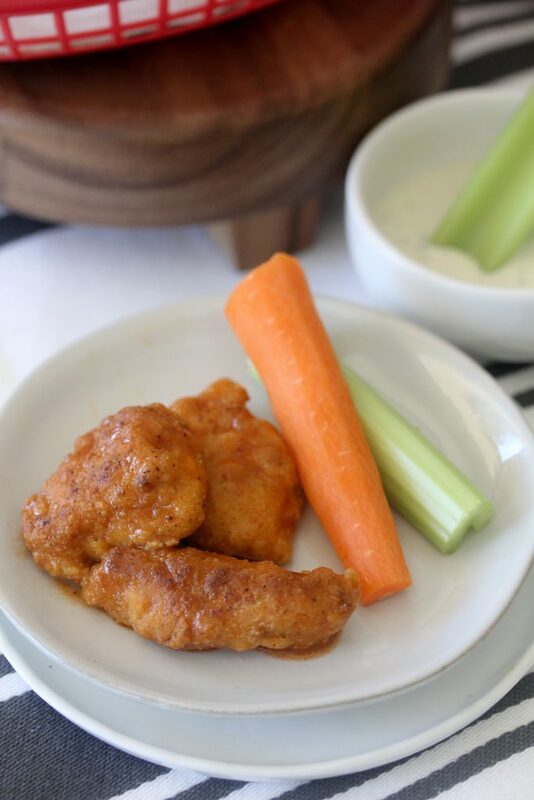 Boneless Buffalo Chicken Bites are the perfect Whole30 meal or game day snack. Easy to make and oh-so tasty, these are the perfect party dish. Just choose your spice and turn up the heat on your gathering! Season the chicken with 2 teaspoons of the salt and set aside. In a large bowl, combine the almond flour, tapioca flour, remaining 1 teaspoon salt, and the paprika. Pour the beaten eggs into a shallow bowl. In a large skillet or Dutch oven over medium heat, melt the coconut oil. Dip the chicken in the egg, letting the excess drip off, then roll in the flour mixture to coat. Set aside. Working in batches, fry the chicken until the crust is a light golden brown and the meat is cooked through, 2-3 minutes per side. Once cooked, place the chicken onto a paper-towel lined plate to drain. Once you have cooked all of the chicken bites, add them to a bowl and pour The New Primal Buffalo Sauce over top and gently toss to coat. 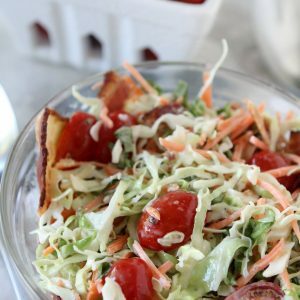 Serve with optional carrots, celery and your favorite ranch dressing. If you like this recipe, leave a comment below or share it with a friend! Could these be baked instead of fryed? I’m not opposed to frying, I’m just lazy lol. I didn’t use the buffalo sauce, but these chicken tenders are amazing!!! They taste exactly like chicken tenders you would get in a restaurant. These are now my favorite way to eat chicken! Thank you for this recipe!! !